According to a very scary Ellen MacArthur Foundation report launched in 2016 at the World Economic Forum, there will be more plastic than fish in the world's oceans by 2050 at our current rate of consumption and waste. Not only that, but new plastics will consume a massive 20 percent of all oil production in the same time frame, up from 5 percent today. We have already seen a twentyfold increase in plastic production since 1964, with this number expected to double over the next 20 years and double again by 2050 if nothing is done. Recycling is often promoted as the solution to the plastic problem, and it does have a significant role to play. 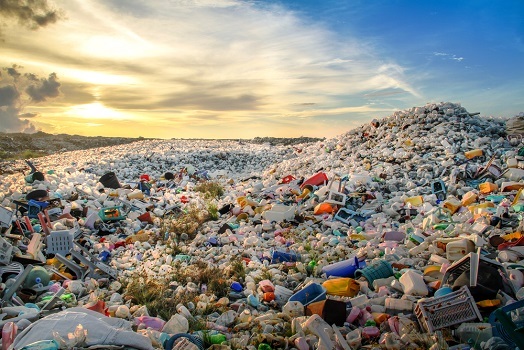 Despite growing education, only 12 percent of plastics in Australian get recycled, with this figure much lower in the USA and lower still in developing nations due to a lack of recycling infrastructure. All in all, around 5 percent of global plastics are said to make it to a recycling station, with 40 percent ending up in landfill and around 35 percent making their way into the oceans and other sensitive ecosystems. Recycling consumes roughly 10 percent of the energy it takes to make new plastic, with less waste and less carbon emissions making it a win-win scenario. Recycling is not the only solution, however, in fact, it's one of the most ineffective. Reducing plastic consumption from the outset is the best way to deal with this problem, and individuals have an important role to play. Along with taking reusable bags to the supermarket for your weekly shop, you can also say no to plastic straws, no to plastic bottles, and no to plastic packaging. While it can be tough eliminating plastics altogether, it's often just a matter of changing how and where you shop. For example, bulk food shops allow you to purchase essentials such as pasta and cereals with your own reusable containers, and farmers markets allow you to use your own packaging solutions for fruit and veg. The best way to get started is to carry out a plastic audit in your home and think about viable alternatives. Go through every room in your home and make a list, from the shower and laundry through to the kitchen and garage. For example, you can purchase many shampoos and detergents in bulk, or make the decision to use powder products that come in boxes rather than bottles. Choose soap over shower gel, look for companies that use paper packaging, and if you must use plastics, actively support companies who use recycled packaging. If you really want to do everything you can to eliminate plastics from your life, you can make many of your own domestic products from basic ingredients. Cleaning products are a great place to start, with basic old-fashioned ingredients such as vinegar and baking soda often just as effective, and much less toxic, than commercial cleaning products. If you have old kids toys and other plastic products sitting around the house, you can choose to donate them rather than throwing them out. While global change will require governments and large multinationals to get on board, there's so much we can do as individual consumers to drive change and lead by example.